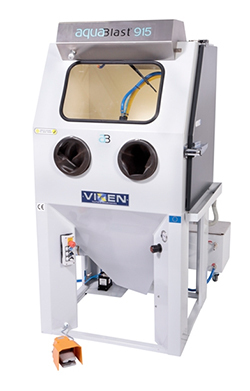 Vapour Blasting: We offer vapour blasting for components up to 1m wide x 1m long x 1m tall. Vapour blasting is a service new for 2016 and is carried out with a low pressure Vixen 915 ideal for surface cleaning and restoration of car parts both modern and vintage. Because of the surface mechanics inherent with the process, vapour blasting can be used for a wider range of materials including plastics, including nylon, polypropylene, acrylic and perspex.